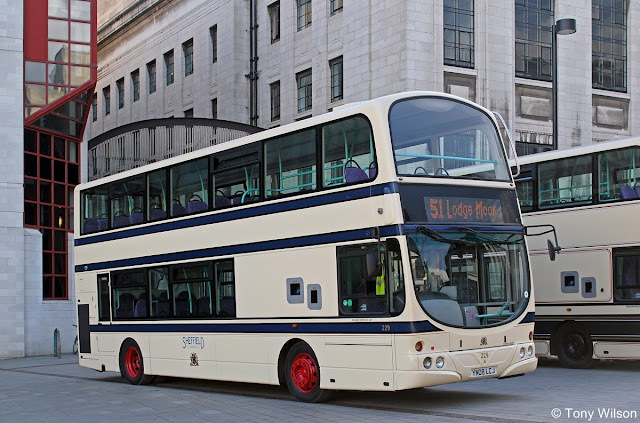 More pictures of the vehicles which First have painted in the former liveries of Sheffield Corporation, the organisation that ran buses in Sheffield for most of the last century. These buses, one in 1913 livery and one in 1960 livery, are running on the 51 route between Charnock, Sheffield City Centre and Lodge Moor as part of celebrations to commemorate 100 years of motorbuses in Sheffield. 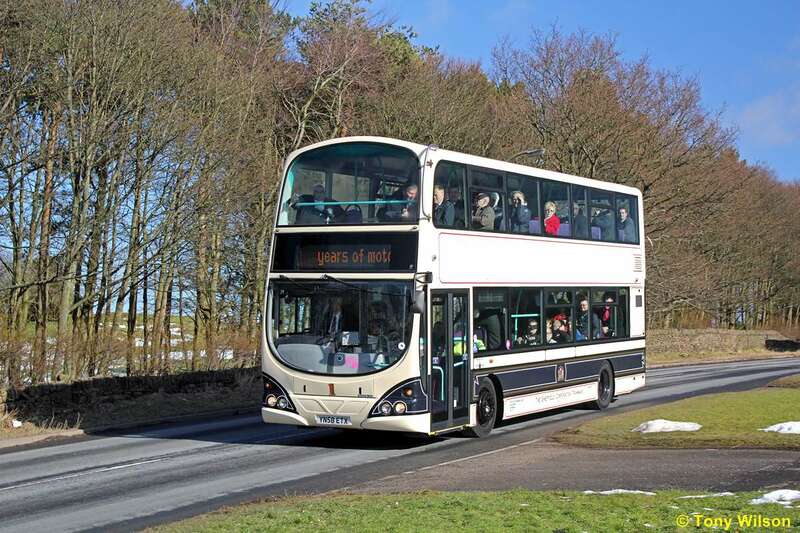 On February 15th 1913 the first motorbus began operation between Broomhill and Lodge Moor. Hundreds of eager customers turned up on that day to try out the new form of transport, which supplemented Sheffield's existing tram network. 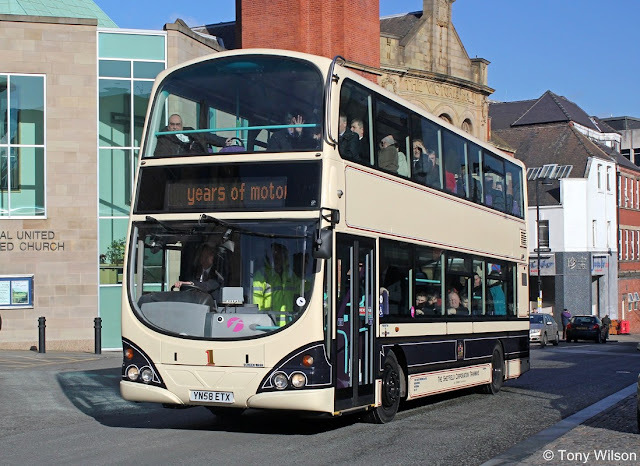 Since this date Sheffield's public transport network has grown to ensure that the city's workforce can have cheap and reliable transport for work, education and leisure purposes. This has played a major part in Sheffield becoming one of the most successful cities in the UK. On Friday 15th February a celebratory trip took place along the route for some of Sheffield's key dignitaries including the Lord Mayor. This was followed by a reception at Sheffield Town Hall. 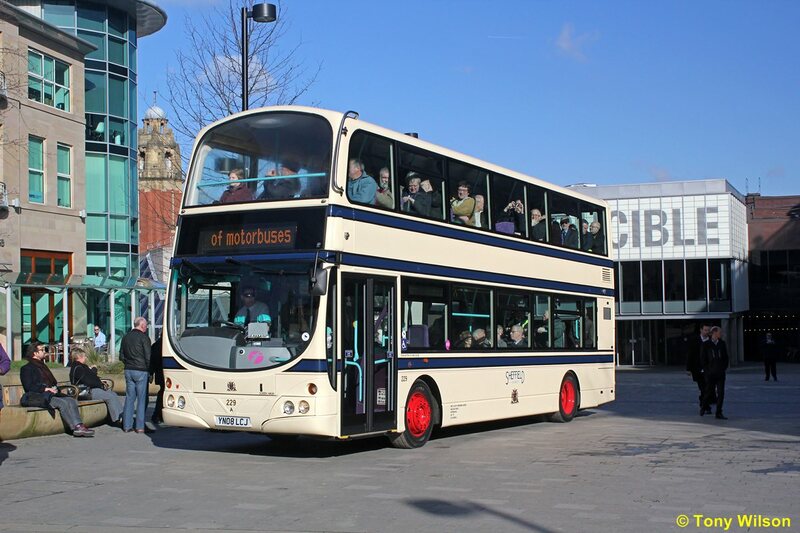 Later this year (Sunday 12th May), a bus rally will be held at First's Olive Grove depot for members of the public to come and see a selection of old and new buses and to take part in fun activities, which will include a charity bus pull in 1913 costume. Giles Fearnley, Managing Director of First UK Bus, has a personal interest in the centenary celebrations. Giles' grandfather, Arthur Fearnley, was the General Manager for 'The Sheffield Corporation Tramways' from 1904 to 1936. Giles, along with local transport historians and enthusiasts across South Yorkshire, has led the organisation of the centenary celebrations. He said: "It is very exciting that people and organisations in Sheffield are coming together to celebrate 100 years of motorbuses in Sheffield. "Sheffield has grown tremendously in the past century and buses have been at the forefront of this development. "It is only right and proper that we organise a series of events to commemorate this anniversary and the public should look out for these spectacular buses that represent the history of this great city."